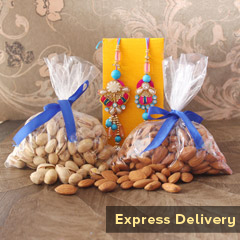 This will surely be the perfect gift for your Bhaiya and Bhabhi on the occasion of Raksha Bandhan. 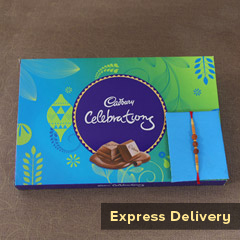 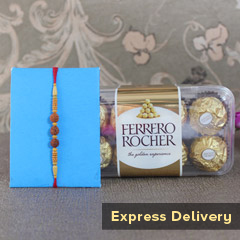 It’s a combo of a beautiful pair of Bhaiya Bhabhi Rakhi and some yummy bunch of chocolates that are sure to woo him. 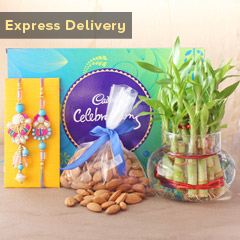 So, don’t forget to place your order!